The University of Virginia School of Law is located on the North Campus adjacent to the Business School, away from Thomas Jefferson’s famous Lawn. The Law School planned an expansion by annexing the business school. Our office was asked to develop preliminary designs for this expansion and design of the grounds. Our design sought to unite the two buildings by developing a sequence of terraces and courtyards. 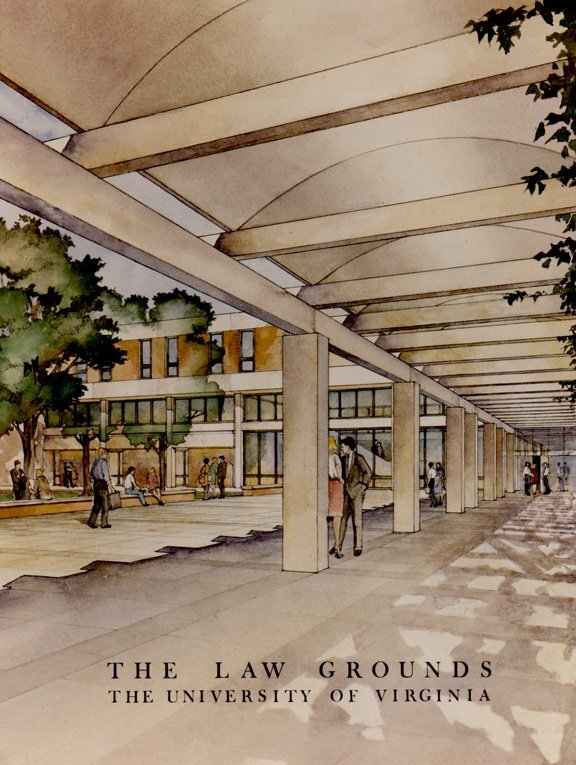 Connecting the two buildings and the lower and upper terraces we proposed a covered walkway. Below this, a crypto-porticus, housing a student lounge and bookstore.